In the late 1940s, an advancement of technology changed forever how listeners would appreciate the Broadway musical: It was the invention of the LP, the long-playing record. When Goddard Lieberson introduced this new audio format to the American public, he changed how listeners engaged with music at home. Instead of encountering the album of the Broadway show as a series of song-length sides in a collection of 78 rpm records, listeners to the LP could appreciate how the sequence of songs conveyed the narrative arc that was so essential to the experience of the Broadway show. The first Broadway show to be released on LP by Lieberson’s Columbia label was Street Scene, a 1947 production with a book by Elmer Rice, lyrics by Langston Hughes, and music by Kurt Weill. Shortly thereafter, Lieberson released such classic Broadway musicals as Rodgers and Hammerstein’s South Pacific and Cole Porter’s Kiss Me Kate (both 1949) on LP. 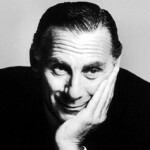 Under Lieberson’s leadership, the Columbia label soon dominated Broadway, recording some fifty-four shows over the span of his career, including twenty-three musical shows by 1959. These included the original cast albums for Gentlemen Prefer Blondes, South Pacific, Kiss Me Kate, Bells Are Ringing (1956), Candide (also 1956), the television cast for Rodgers and Hammerstein’s Cinderella (1957), West Side Story (1957), Flower Drum Song (1958), Gypsy (1959), and, of course, My Fair Lady (with the original Broadway cast in mono in 1956 and the original London cast in stereo in 1959). With My Fair Lady, Lieberson deepened the label’s commitment to the Broadway musical by having Columbia Records serving as the sole backer of the show. The musical debuted in 1956 and set the mark for Broadway musicals at the time, running for 2,717 performances closing on September 29, 1962. Lieberson also proved to be something of a Broadway musicologist, being the first producer to create what were known as “studio cast recordings,” starting with older popular musicals, like The Boys from Syracuse and Pal Joey (both by Rodgers and Hart) and Gershwin’s Porgy & Bess, that had closed before the advent of the original cast album. The success of the studio cast album for Pal Joey inspired presenters to revive the show, leading to a far more successful run in revival than it had ever had in the original production. The innovation of the studio cast recording enabled Lieberson to produce. In 1955, he produced the studio recording of George Gershwin’s 1925 hit show, Oh, Kay!, and in 1960, a studio cast version of Bernstein’s iconic New York musical, On the Town, which had first run on Broadway back in 1944. He also on occasion took advantage of studio casts to compete against original cast recordings released by such rivals as Decca and RCA, most notably in 1952 with his studio cast recording of Rodgers and Hammerstein’s Oklahoma! and the 1957 LP version of Brigadoon. The keen sensibility that made Lieberson the most successful Broadway record producer of the 1950s remained with him into the 1970s. 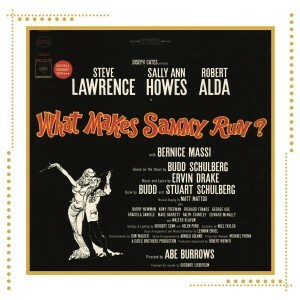 His catalog of cast recordings from those years included Erwin Drake’s forgotten hit show from 1964, What Makes Sammy Run?, Barbra Streisand’s breakout performance in I Can Get It for You Wholesale, Colman and Fields’s 1966 hit, Sweet Charity, Jerry Herman’s Mame (also 1966), and Stephen Sondheim’s 1973 musical, A Little Night Music. The last Broadway cast recording Goddard Liberson produced came in 1975 – it was the original cast recording of A Chorus Line, by Edward Kleban and Marvin Hamlisch.